You can impress your guests with our stunning aluminium doors in Camberley. These beautiful double glazed doors will enhance the performance of your home, as well as create an exquisite visual impact. Experience your property in whole new ways with our amazing aluminium doors and take advantage of the lifestyle enhancing opportunities they offer you. 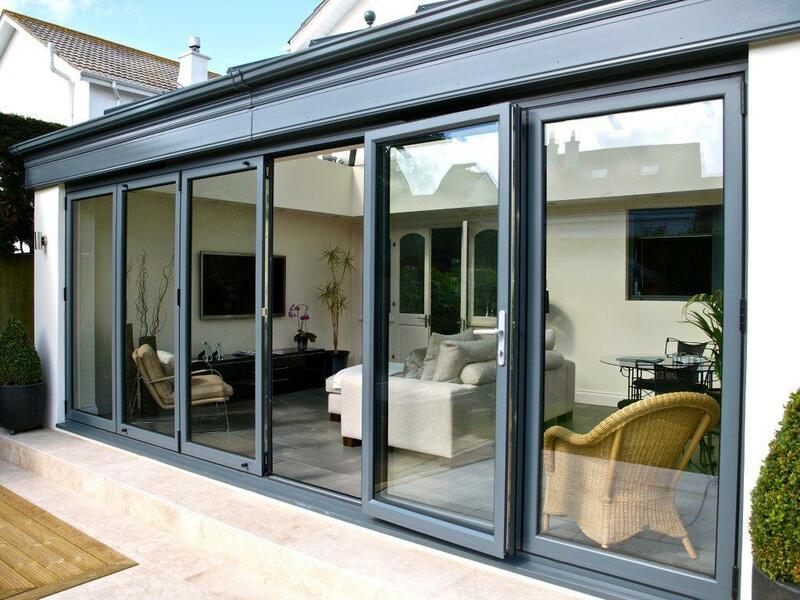 Whether you prefer aluminium patio doors or bi-fold doors, here at Jewel Bi-Folds, we can help. Our aluminium doors are incredible, and there are a vast range of choices available to you, all of which can be tailored to your tastes. We offer two distinct brands of aluminium patio doors to our Camberley customers, so that you can have your perfect match. The first is the Smart Visoglide, which comes in a variety of finishes, including wood effect, making them a highly popular home improvement. They are highly secure and superbly energy efficient as well as a brilliant option for sound proofing your home. 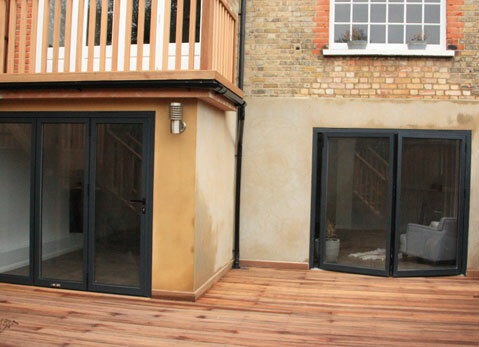 We also install aluminium doors from the Air Sliders collection. These impressive double glazed doors are so secure that they have Secured by Design accreditation. Not only that, but the performance is so exceptional that they come with a 25 year manufacturer’s guarantee. 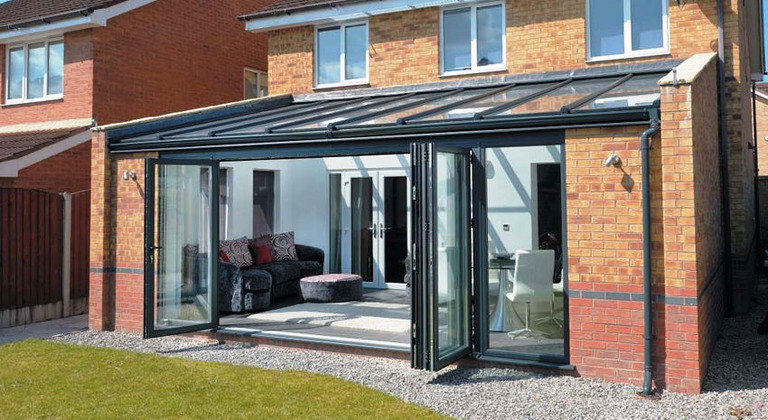 With aluminium bi-fold doors, every manufacturer has something different to offer Camberley homeowners, so here at Jewel Bi-Folds, we work with several of the best to ensure that you get the exact combination of features and benefits that is right for your home improvements. 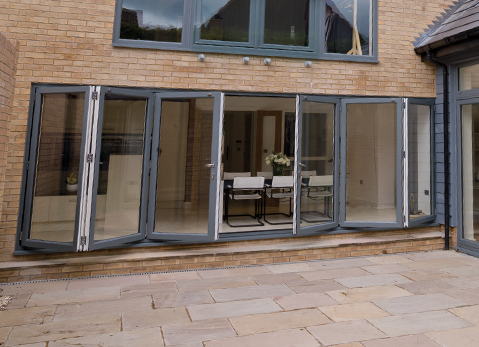 Our Air aluminium bi-fold doors are one of the most secure options available, and they are capable of the stringent standards set by Secured by Design, the police preferred specification. 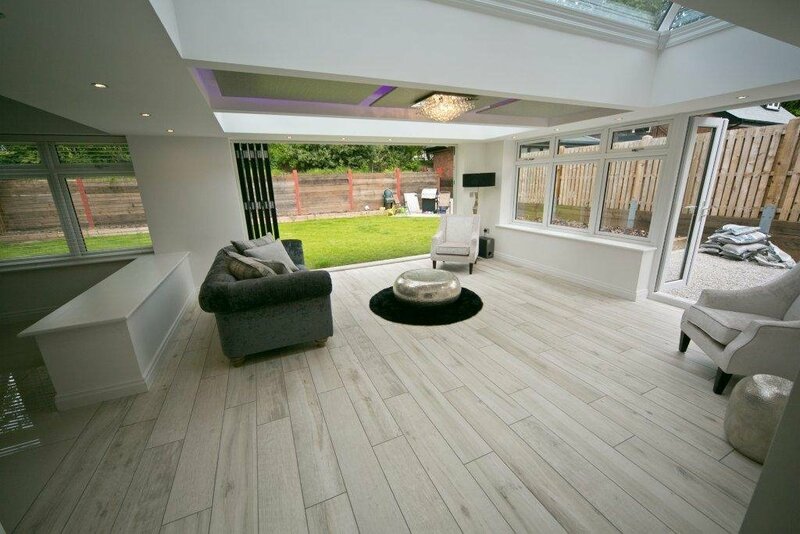 With the Air range of sliding doors, you will benefit from long lasting quality and performance, and in fact, these doors come with a 25 year manufacturer’s guarantee for your peace of mind. With our Schuco aluminium doors, you can count on premium quality and performance. These precision engineered bi-fold doors incorporate the very best of German innovation to provide superior efficiency and security. They are simple stunning, and come in an exceptional range of sizes to ensure you can benefit from these doors anywhere in your Camberley home. 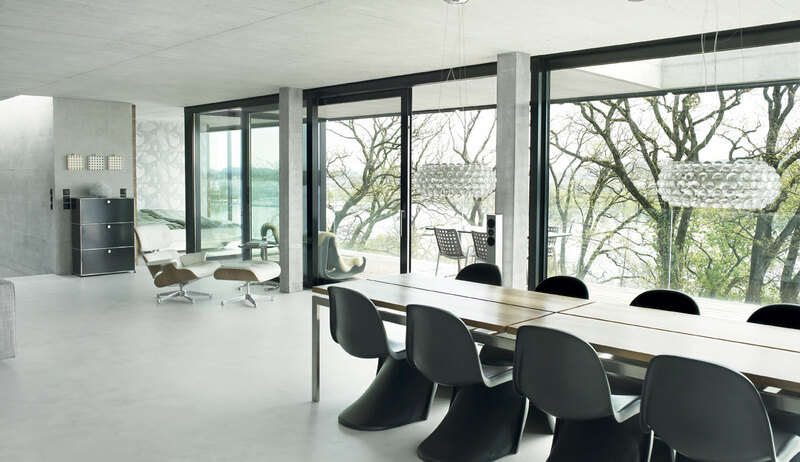 The Reynaers aluminium door design is superb when it comes to protecting your home from the weather. 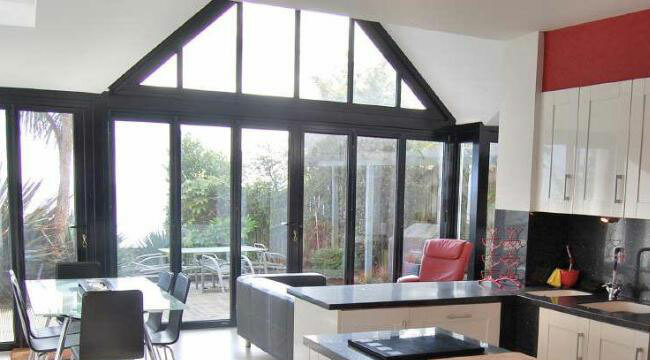 With a multi-chambered profile, and double weather seals, no matter how bitterly cold it is in the winter or how torrential the rain is, your home will be well protected by these fantastic bi-fold doors. 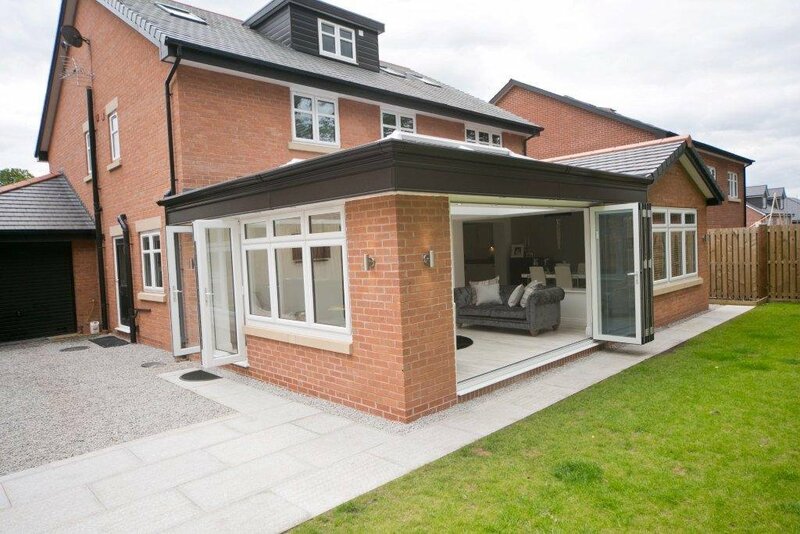 The Smarts bi-folding door is simply stunning. With a vast range of details for you to choose from, including square or round edged frames and extensive finishes, these doors are a premium choice for your new sliding door. They excel in all aspects of performance and they have stylish, ultra slim frames to maximise your views. As the name suggests, the Warmcore aluminium doors are innovatively designed with an exclusive thermal core to maximise the energy efficiency of your Camberley home. These impressive aluminium bi-folds come with all the style and elegance you expect from aluminium, as well as the best thermal performance. They even come with a 10 year manufacturer’s guarantee for your peace of mind! When you choose aluminium doors from Jewel Bi-Folds for your Camberley home improvements, you will be able to enjoy a perfectly styled double glazed door. 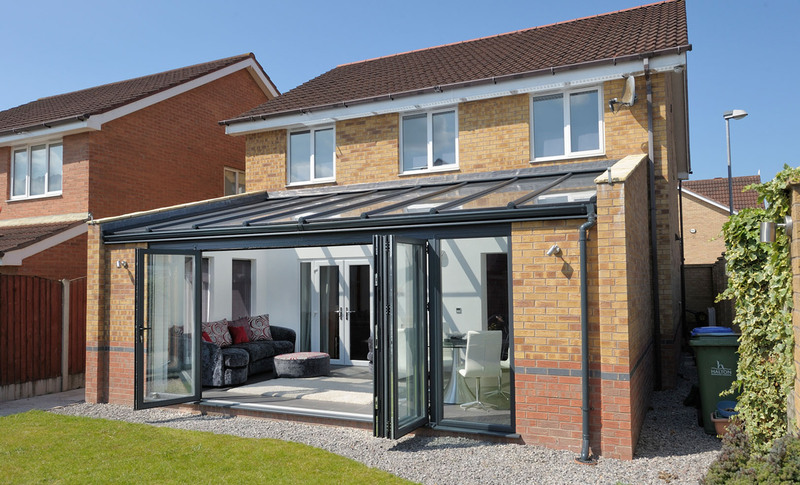 Whether you opt for patio doors or for bi-fold doors, there are a number of configuration options available to you to ensure you get the most practical and functional opening possible. All our aluminium doors are available with a range of threshold options to meet your needs too, making them great for accessibility. In addition to that, aluminium doors are available in the most extensive range of colour finishes, so when you choose your new doors from Jewel Bi-Folds, you are sure to have doors that reflect your personality and complement your Camberley property. We would love to talk to you about your aluminium doors ideas in Camberley, so please do get in touch and find out more about our fantastic home improvements. We also have an online quoting system where you can design your ideal aluminium doors and get an instant guide price.